Less than a year after she was wounded in an apparent drive-by shooting, Ringling Bros. traveling circus has once again forced an elephant named Carol back on the road to perform in front of audiences -- despite a popular petition calling for her to instead be retired. While on tour last April, Carol and other circus elephants were being held in trailers outside a stadium in Tupelo, Mississippi when a driver pulled up and opened fire, striking Carol in the neck. Police called the shooting "a deliberate, targeted event," though no suspect was ever apprehended. Only one day after the shooting, Ringling Bros. indicated that they had no plans to relieve the 39-year-old elephant from her performance duties long-term, saying "we can't wait to have her back on the show." Following the incident, an online petition was raised urging Ringling Bros. to retire Carol, and has since garnered nearly 15,000 signatures. 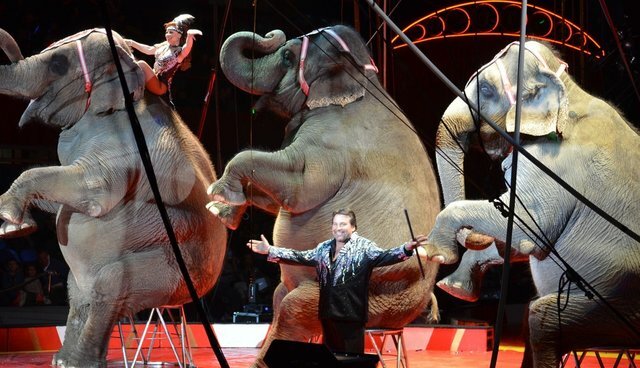 Still, regardless of her age and injury, the circus has put the elephant back on a multi-city tour -- including three shows at the scene of the crime in Tupelo, where the investigation is still underway. No word on how much time the elephant was given to recover before training began anew, but a statement from Ringling Bros. justifies the quick return saying "Carol recovered faster than expected." 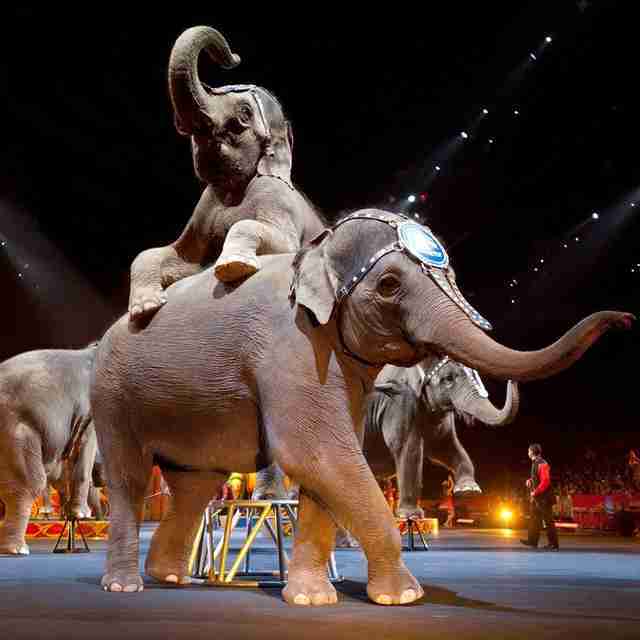 However, some critics suspect that the circus's decision not to place Carol into retirement is driven by profit without due consideration of her welfare -- a belief in line with numerous other reports that elephants are regularly abused by Ringling Bros. handlers as encouragement for them to perform. According to the database Elephant Encyclopedia, Carol has been training or performing for circuses since 1974, the year of her birth. Ringling Bros. proudly boasts that their elephants born into captivity receive the utmost care and are allowed the important opportunity to bond and socialize with their families on their circus-owned sanctuary. Carol's origins are listed simply as "wild."